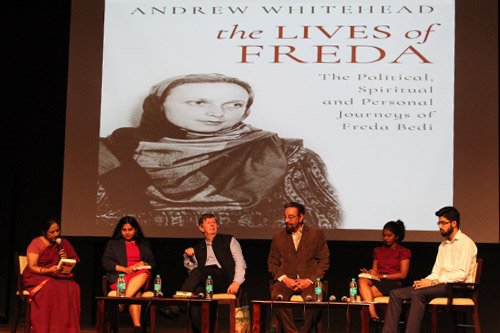 Former BBC correspondent and an adjunct faculty at ACJ Andrew Whitehead’s book ‘The Lives of Freda’ was launched at the M. S. Subbulakshmi Auditorium at the Asian College of Journalism on March 19, 2019. 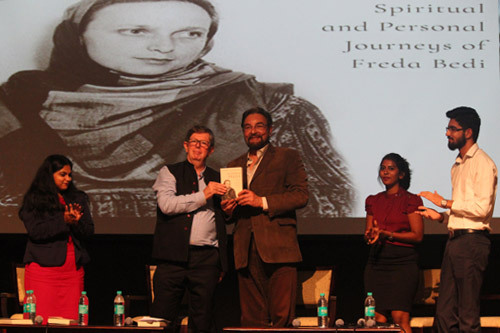 The book based on the life of Englishwoman, Indian nationalist and freedom fighter late Freda Bedi was launched by her son, Bollywood actor Kabir Bedi along with a panel of ACJ students and dean Nalini Rajan. “I came across Freda’s story I did not want to wait to tell it to the world,” said Andrew Whitehead. Voice recordings of Freda talking about meeting her husband Baba Pyare Lal Bedi at Oxford University, learning about his country and moving to India were also played at event to give those present a sense of her story. 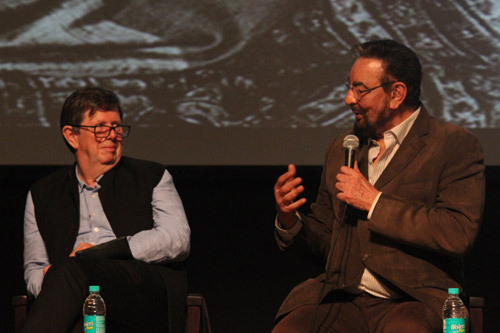 Kabir Bedi said that even though his mother’s life is subject to another book already, Andrew’s journalistic skills added to the story of Freda’s life.